Does anyone still remember the SC (Siacoin) hard fork on October 31st resulted in SCC (SiaClassic) and f2pool was the first one launched SCC to mine? Of course, SCC is not the only SC fork coin. There are other SC fork coins such as SCP (SiaPrime) and XSC (Spacecash), and today we are going to introduce XSC mining. Hardware: Blake2b algorithm Asic professional mining machine (here we use A3 miming machine as an example), suitable power supply for the mining machine, a network cable and a computer. Download to find IP software. Please note that the countries’ regulatory policies on exchanges are not uniform, and the risks are borne by the miners. Firstly, connect the network cable and plug it into the network cable interface of the mining machine. 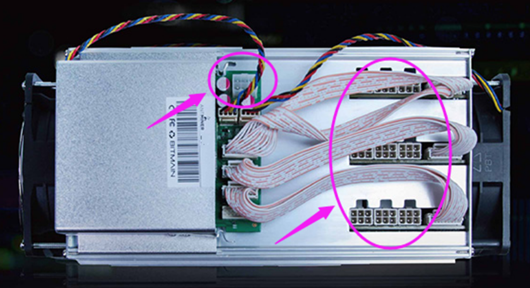 Then, connect the power cord and each interface of the mining power to the mining machine. After all the wires are connected, the power can be turned on. Once the power is turned on, the mining machine light should light up and the machine starts to run. Under the same network used for the A3 mining machine, open another computer prepared in advance. This computer will be used as a control computer for setting up mining, which can also be referred to as “Control computer”. On the control computer, visit the A3 mining machine to find the download link of the IP software (IPReporter), download the software and unzip it, double-click the IPReport in the folder. Note that the IP software for each mining machine is different. Please go to our official website for relevant resources. 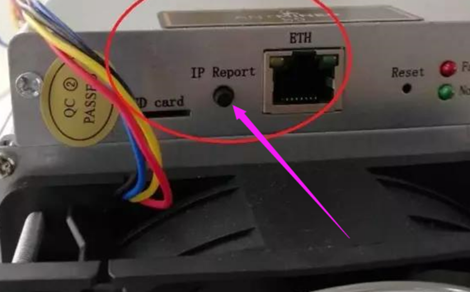 At this point, the IP address of the mining machine will be automatically popped up on the software, and the IP address will be copied to the browser. 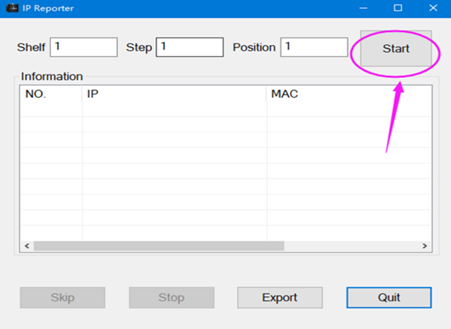 Open the browser, paste the IP of the miner into the browser address bar, press Enter. In the pop-up dialog box, enter the user name and password, which are both “root”. Note that the miner name can be customized, which can be a number or a letter, and the mining machine name should be relevant to the miner name. For example: 323b7baae0bf16ec8f505a3c344ae82eed1950119ff22753218446ad29ac38bbfaabe343f173.01. The wallet address and the miner’s name are separated by a period “.” or an underscore “_”. After setting, click “Save&Apply” in the lower right corner, wait for a while, the mining machine will start to run normally. Click on “Miner Status” to see the real-time status of the mining machine. After observing the normal indicators, you can wait for the receipt of the coins. To view the operation status and daily income of the mining machine, you can access the f2pool official website (https://www.f2pool.com), then click on the search bar in the upper right corner, and enter the wallet address for viewing. Alternatively, you can view the process of the transfer via the block browser: http://hyperstats.info/.